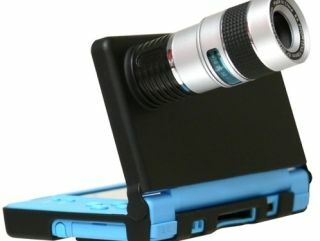 Nintendo sees the 3DS as its 'next handheld platform' - but will it have a nonsensical looking zoom-lens add-on? Nintendo of America president Reggie-Fils Aime considers the soon-to-be-unveiled Nintendo 3DS as its "next handheld platform" following the runaway success of the DS (and its various iterations as DS Lite, DSi and, most recently, the DSi XL). The 3D handheld console is set to be the biggest news in the handheld market since the original DS launched back in 2004. Well, at least that is what Nintendo hopes. "We have ideas of what we want to bring to the consumer that we can't do with the current DS model," Reggie said in an interview with BusinessWeek. The Nintendo man stressed that the 3DS, as with all of the Japanese gaming giant's console hardware, would still be heavily focused on the content. Nintendo is, after all, all about the games. "Fundamentally, this business is about software, not hardware. Software is what drives engagement by the consumer," said Fils-Aime. Nintendo 3DS is due out sometime later this fiscal year, with more details due to arrive at E3 in June.